This recipe is heavily and shamelessly inspired by the Fagioli E Grano bean salad available at the Bruschetteria Food Truck at the winery I work at part-time here in St. Helena, CA, @ClifFamily Winery. 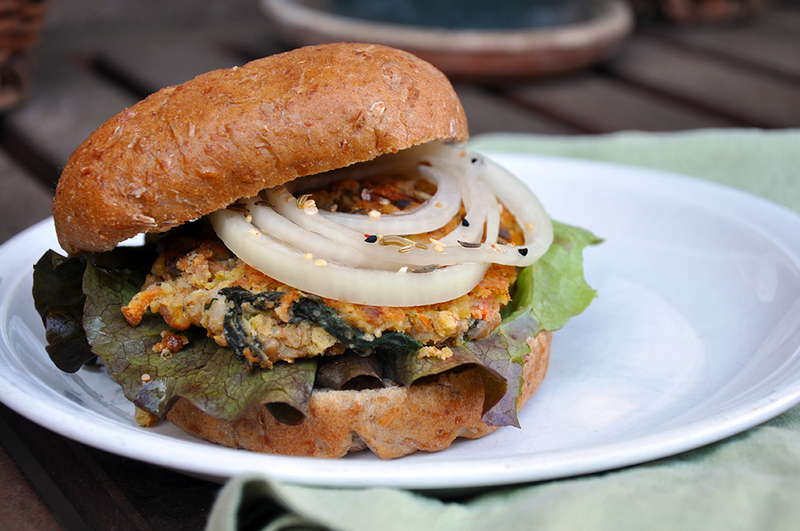 When I tasted it, I thought, "This would make a fantastic veggie burger!" And that's the story...I added an egg and some panko to it...bam, fantastic veggie burger. The Food Truck uses beans from the farm, an Italian pasta called fregola sarda and farro. Easy subs that I used are canned pinto beans, orzo or Israeli couscous, and barley. Of course, you could just make the salad and enjoy, and do it...but save a bit and make these burgers too! And add my Quick Pickled Onions...to the recipe I added Clif Family Everything Spice for an extra kick. You could pulse all of the mixture, but I think it's nice just to do half to leave some coarse bits in the final burger. You can freeze these guys too - just be sure to separate them with wax paper so they don't freeze together. 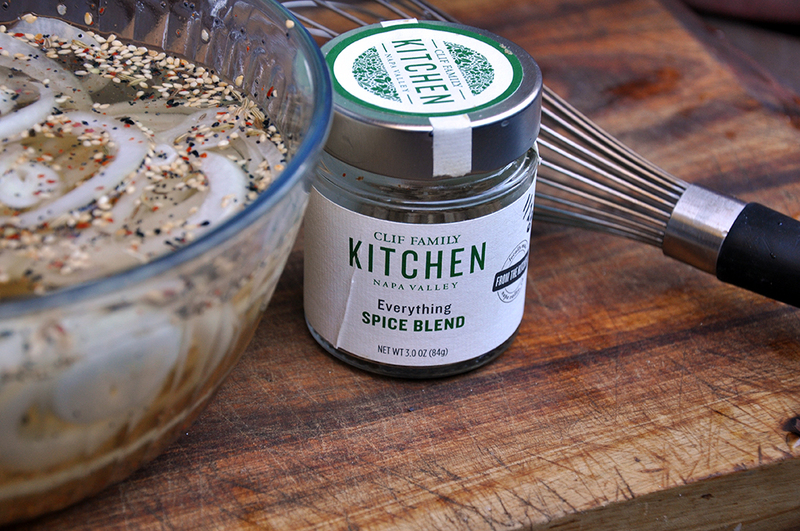 This Everything Spice Blend is just that - goes from pizza to quick pickled onions just like that! 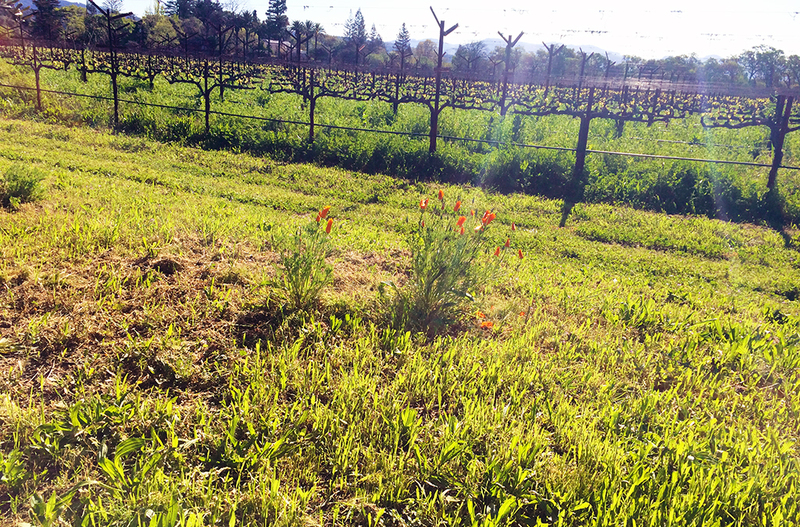 It's officially spring in Napa Valley! That mean the state flower, the California poppy is in season. It's illegal to cut them down - notice the expert weed-wacker job that neatly goes around them! Mix all the ingredients, except egg and panko, together and adjust seasonings to taste. 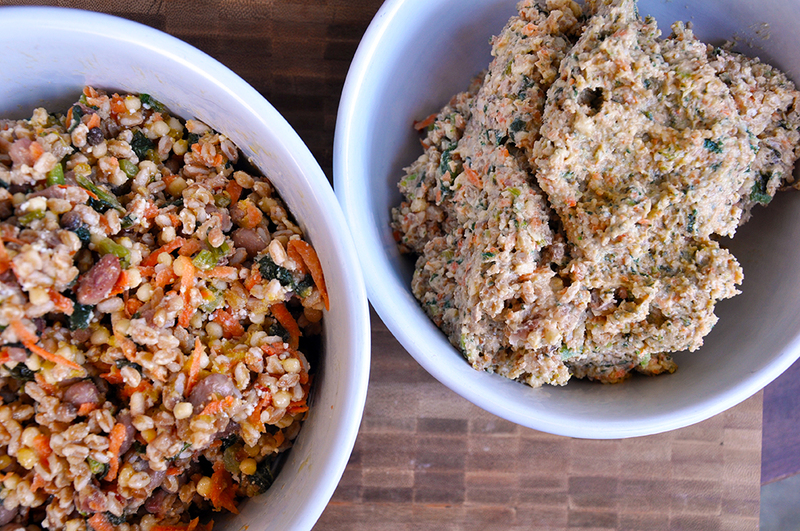 Take half of the mixture and pulse in a food processor 10-15 times. Mix back with the other half, and add the egg and panko. 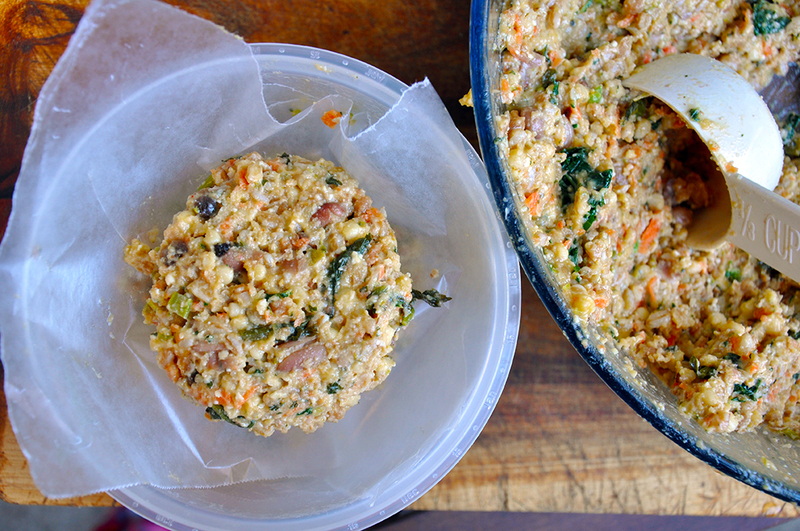 Form into patties using a 1/3-cup. Fry in a large skillet over medium heat coated with cooking spray until browned on both sides - about 3 minutes per. Serve as desired. These also freeze well - just be sure to separate each burger with wax paper first. Another great Sunday recipe! Thanks so much.